An international team of astronomers using a combination of ground and space-based telescopes have reported more than 100 extrasolar planets in only three months. 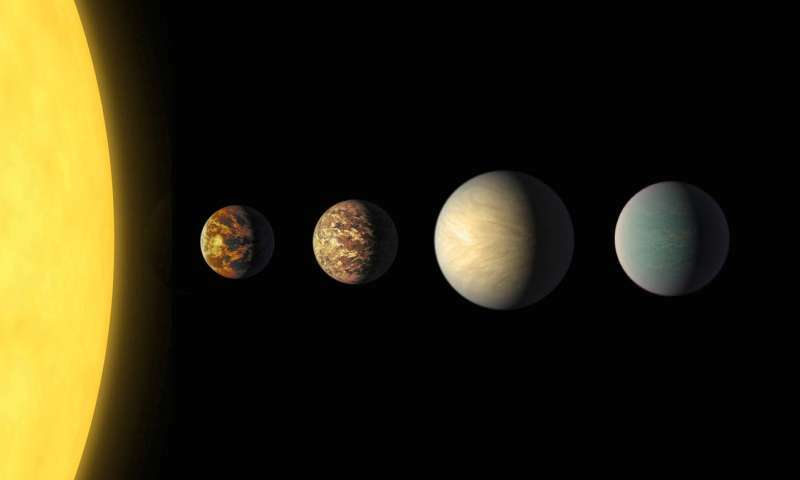 These planets are quite diverse and are expected to play a large role in developing the research field of exoplanets and life in the universe. The Kepler Space Telescope launched in 2009 to search for exoplanets. When a planet transits its parent star, the observed brightness of the star drops by a small amount. The Kepler Space Telescope has detected many exoplanets using this method. However, such dimming phenomena could be caused by other phenomena. Therefore, confirmation that the phenomena are really caused by exoplanets is very important. The Kepler space telescope experienced mechanical trouble in 2013, which led to a successor mission called K2. Astronomers around the world are competing to confirm exoplanets suggested by the K2 data. An international research team involving personnel at the University of Tokyo and Astrobiology Center of the National Institutes of Natural Sciences investigated 227 K2 exoplanet candidates using other space telescopes and ground-based telescopes. They confirmed that 104 of are exoplanets. Seven of the confirmed exoplanets have ultra-short orbital periods less than 24 hours. The formation process of exoplanets with such short orbital periods is still unclear. Further study of these ultra-short period planets will advance research into the processes behind their formation. They also confirmed many low-mass rocky exoplanets with masses less than twice that of the Earth as well as some planetary systems with multiple exoplanets.